Quick link to Butler Creek size guide at the end of the page. Special offer pricing, whilst stocks last. 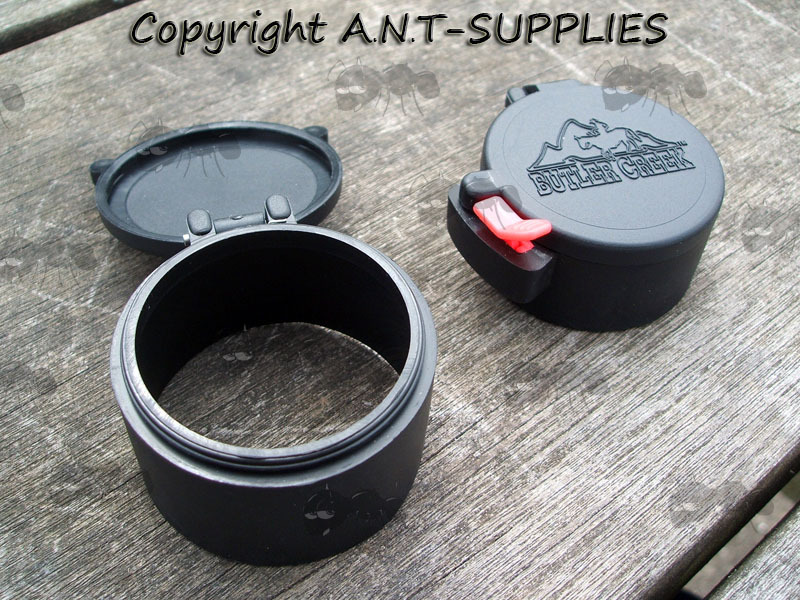 Simply the ultimate scope lens protection for hunters and shooters. 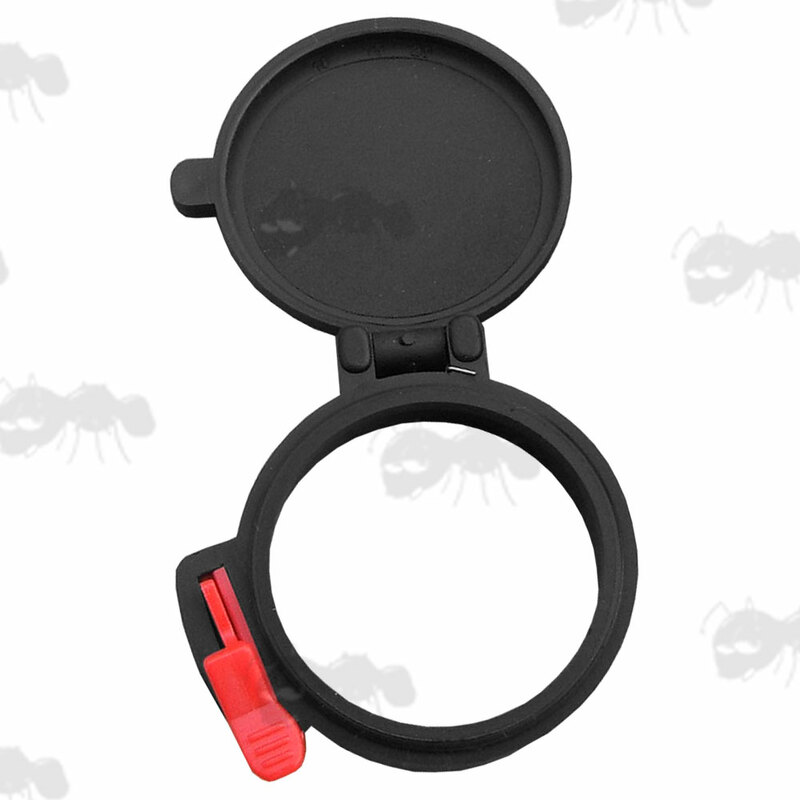 Superior press button quick opening design, allowing you to keep your eyes on the target. Fast flip-open scope cap cover. 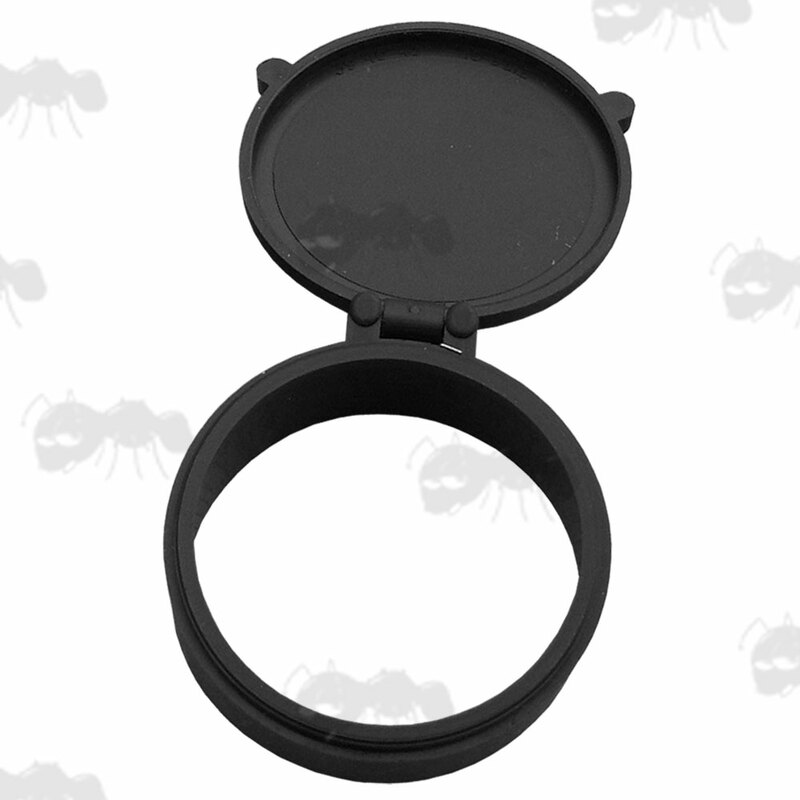 Ambidextrous opening objective lens covers. New, supplied as shown in photo. 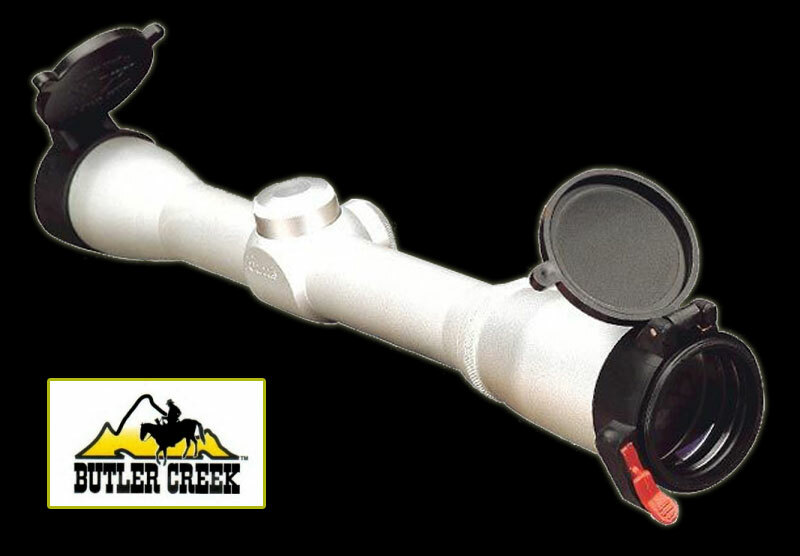 Optisan Viper 4-16x50, accepts a size 43 Objective cover. Fit range is .01" (0.254mm) under to .25" (6.35mm) over these measurements. A useful size guide PDF file from Butler Creek on common scope sizes could be of use. Please note... we do not stock the full range of sizes or all types of covers.